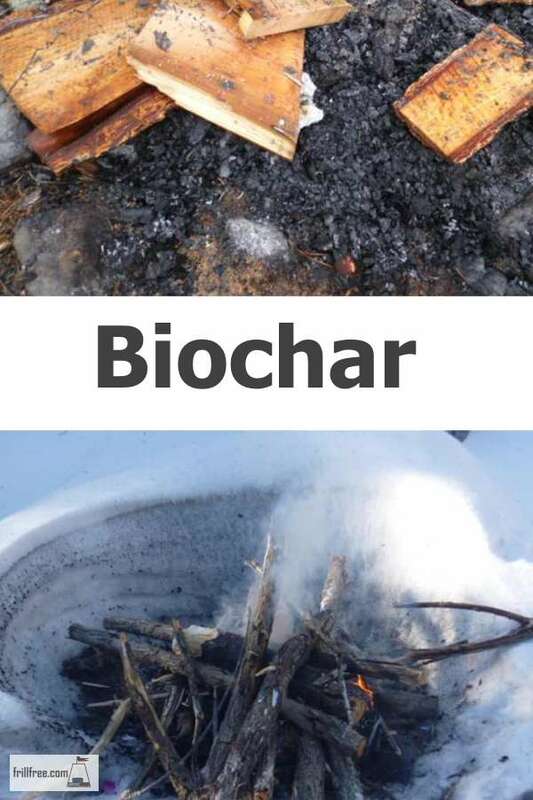 Biochar is the result of burning wood, then burying the charcoal in the ground. It provides carbon storage in a low oxygen environment to reduce the carbon dioxide being released to the atmosphere. Frill Free is expanding and will soon have organic gardening and chicken raising topics, to fill out the homesteading experience. Stay tuned for more. It has the added advantage of improving nutrient storage, beneficial microorganism growth and root growth. The terra preta or black soils in the Amazon resulted in phenomenal crops and in fact, thousands of years later, they still produce amazingly well. It’s unknown if this biochar production was done purposefully, or was simply an act of coincidentally dumping ashes and charcoal from cooking ovens. However it evolved, it must have been obvious that the simple addition of charcoal made more nutrients available to the plants, and it also stored certain elements releasing them very gradually over many seasons. In Uganda and other areas, the biochar production methods used for decades involve layering crop refuse in windrows, covering that with layers of clay which are allowed to dry. Eventually, a hole is broken into the clay covering, a fire is lit and allowed to smolder through the entire thing, consuming the sticks and debris until all is charred. The fire is extinguished, the clay is stomped down onto the layer of biochar and a crop is planted. You can make your own terra preta biochar, using small twigs and branches from prunings or coppicing the hedgerows in your garden. Small twigs work the best, as they start to burn quickly, not leaving unburned parts after the fire is quenched. Dig a trench first, in the area you want to improve, light a small fire and feed it until the wood turns into blackened charcoal. Snuff out the fire by shoveling soil over top of it to cut off the oxygen, and water it. Within a few days you can plant it with shrubs, perennials or vegetable transplants. 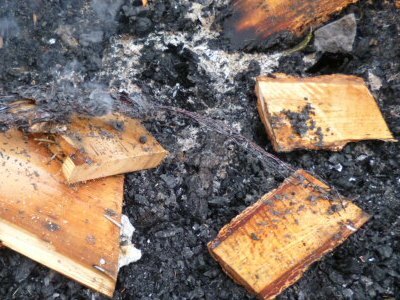 Other ways to make biochar involve fire making in a safe environment such as a fire pit, and then snuffing out the coals the same way, moving the coals once cooled into the garden area, or simply add them to your compost pile. Don’t use barbeque charcoal as this has petrochemical additives that can be harmful to your soil. Either way, the black coals are a carbon source, tying up or sequestering carbon dioxide to prevent it going into the atmosphere. The reason this technique is so successful at promoting growth of plants is the slow rate of release of its nutrients. Using the secrets of the ancient farmers of the Amazon basin you too can experience the magic of biochar in your garden to improve your soil.